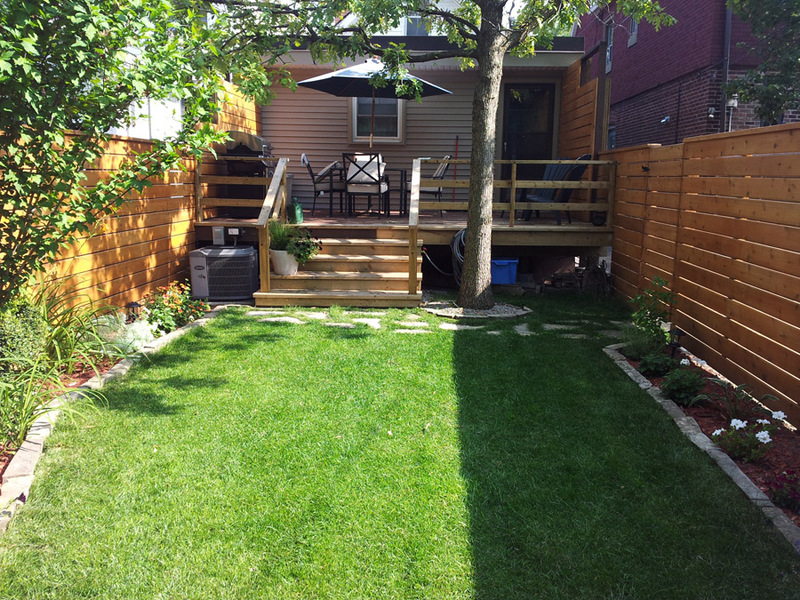 This was a fun little job we did last April, that shows the the difference a nice new fence and a bit of sod can make. Aside for the obvious privacy benefits you get from a fence, they are also great for defining property lines and giving a clean backdrop which can make a yard look much larger and cleaner. For this project our client was looking for a clean and simple fence design. They had recently purchased the house and wanted to make the backyard more aesthetic and functional. 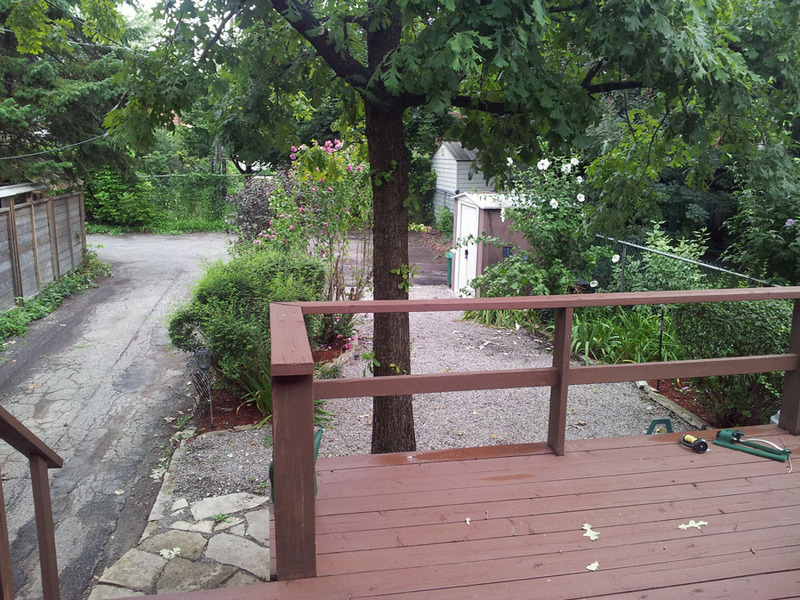 We ripped out the overgrown gardens to give them a fresh start, and reshaped them to a more uniform look. The yard was covered in 'Pea' stone (I will do another post in the future explaining why 'Pea' stone is an awful ground cover) which we replaced with some fresh sod. 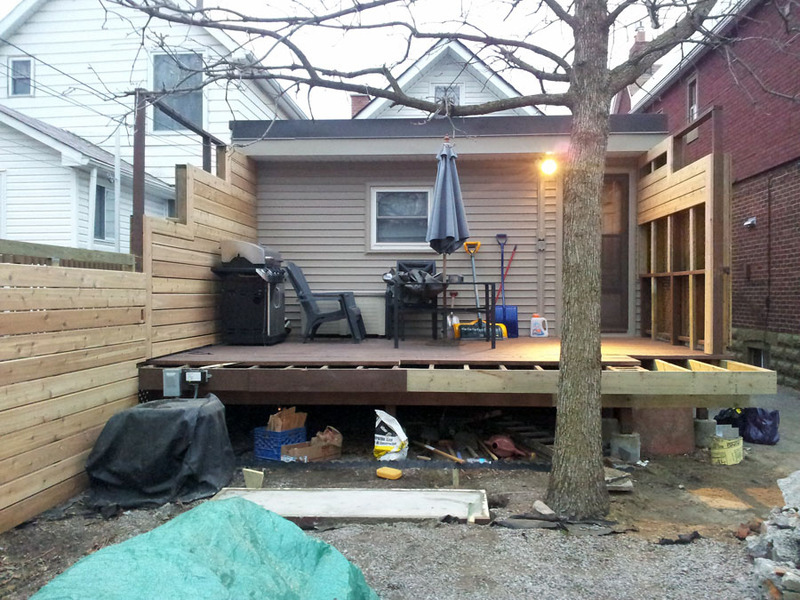 The deck was in pretty good shape, just it had a slightly awkward design flaw, which we fixed by squaring it off, and building a more functional, larger staircase off the center of the deck to give better access to the yard and maximize its usable space above. We then removed the privacy lattice on the sides and continued our fence boards right to the house to tie everything together. Thanks to Sara for passing along these photos. You can read the review left by our happy client on HomeStars.